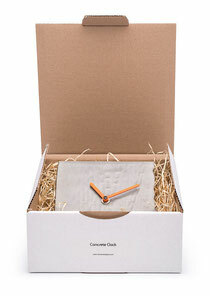 Doreen Westphal designed the new CONCRETE CLOCK. It's a 3mm thin folded QUANTZ concrete elment with a high quality clockwork. It can stand, le or fixed at the wall.